Rockland, Maine, January 20, 2018 —The Center for Maine Contemporary Art (CMCA) announces that it will be closed temporarily for repairs following a break in the water main that occurred inside the building in the early morning hours on Saturday, January 19. CMCA is a contemporary arts institution presenting year-round exhibitions, engaging events, and educational programs for all ages. Location: 21 Winter Street, Rockland, Maine. Hours: TBA. Admission is $8; $6 for seniors and students with ID; free for CMCA members and visitors under 18. For more information, please visit cmcanow.org. 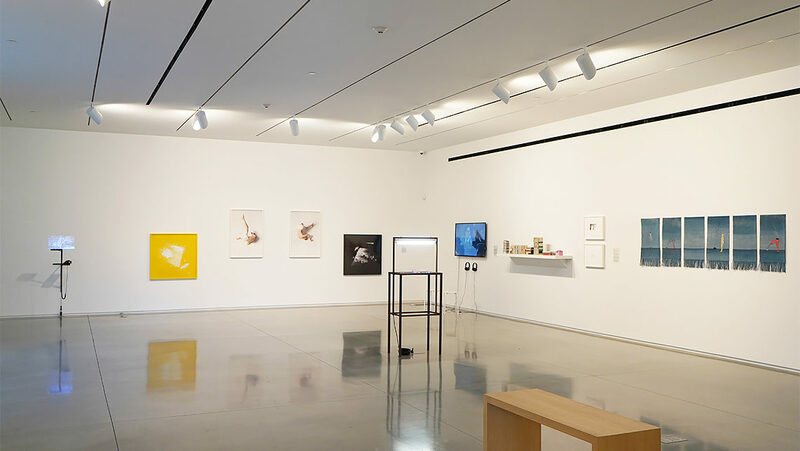 Image: CMCA’s Biennial Exhibition in the Bruce Brown Gallery. A virtual tour of the exhibition is available for viewing online at cmcanow.org.